In the middle of a typical work day, I found this picture in my Facebook wall. Yes, hands up! I admit to steal some working hours to check my Facebook account. LOL! I know this was just a fake and silly game. But all the words I have captured describe me. The past days have not been good for me. Minor problems, worries and issues about myself are just starting to pile and distract me. God perhaps wanted to cheer me up so aside from this useless funny thing, I also had a good laugh, with my bestfriend in the workplace, during our afternoon break. Thank you Lord for making me happy, despite of everything. Sorry, but I just HAD to laugh! I'll never tell the words I found...not what I expected. Thanks for the fun little game. Haha! Haba ng hair ko! Kasi naman, Beautiful is right under Lovely. Thanks for sharing this game. It's enough to keep me sane today. I hate you! Hahahahahaha! 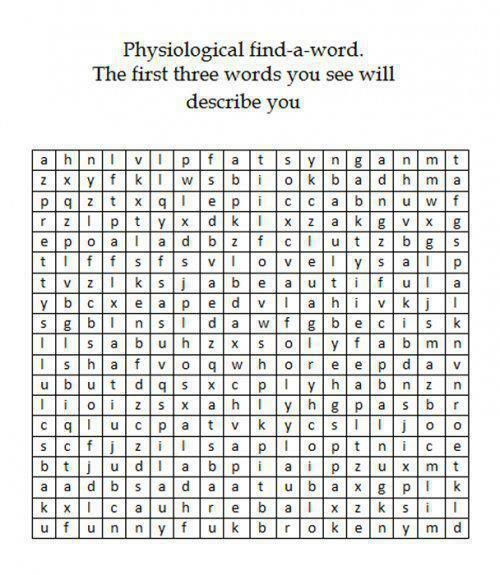 The first word I got is FAT, then LOVELY, then FUNNY! Still, I have to stop being in denial! I am getting fat nowadays! Welcome to the Shoe Fête!